Welcome back fam! 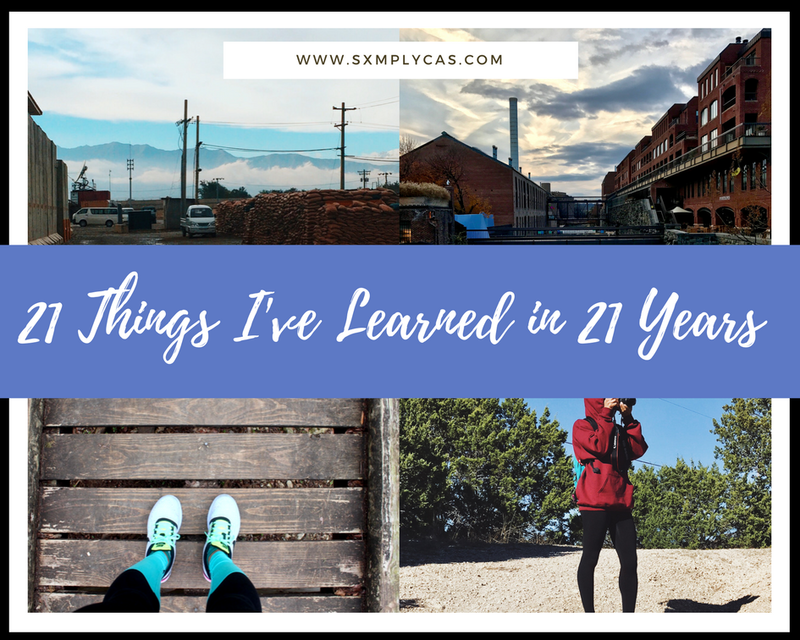 Today I wanted to share 21 things I have learned in 21 years. So my birthday is literally days away and I am truly blessed to be able to live past 21. We sometimes take our birthdays for granted and think nothing of it but in reality, it's an amazing milestone. Over the years I have seen and learned a lot of things, good and bad. At the end of the day, the credit goes all to God. But let me tell y'all a few things that I have learned over the years. 1. At the end of the day, God will always be there for you no matter what. Even if people start switching up on you. 2. Fight for what you want. Don't settle for less. 3. Your 20's are you grinding years. Don't spend it all partying and wasting money. 4. Be you. Don't try to fake it till you make it. 6. Take care of your self. At the end of the day, you need to worry about your well being also. 7. Don't hold grudges. It's less stress on you. Trust me, I know. 8. Self-motivation is the best motivation. 9. Stop trying to please any and everyone. Live your life for you. 10. Take that leap of faith. Don't be afraid of trying new things. 11. Get out the house more. Go on a hike or something. You don't have to spend money to have fun. 12. Seek more knowledge. Always be open to learning new things. 13. Stop being so closed minded and be more open to people's opinions and beliefs. 14. Don't rush to be into a relationship just because everyone else is in one. God will bring that right person to you when it's the right time. 15. It's okay to say no. Don't give into peer pressure. 16. Not everyone is going to like you. 17. Always ask questions. I used to be so timid and would never ask questions. It's okay to be curious. 18. It's okay not to have everything all figured out. That's life. Don't trip about it. 19. Stack ya coins for a rainy day. 20. Not everyone will support you and your endeavors. There are jealous people out there who want to see you fail. Keep your head up. 21. Change is a good thing. Never get too comfortable. Learn how to adapt and make things work for you. Welp, that's a few things I've learned. I could go on and on. The most important lesson out of those 21 lessons is to BE YOU. You only have one life to live so live it carefree. There aren't any do-overs. I'm curious to know which lesson you relate to the most. Let me know in the comments. So well put, Awesome job. Thank you Aunt Wanda !